G-Master by iiyama is the perfect addition to any gamer’s setup. Ranging across 4 separate series of gaming monitors, there is sure to be a monitor that suits both how you like to play and your gamer level. Choose iiyama G-Master Black Hawk GE2288HS-B1/ G2530HSU-B1/ G2730HSU-B1 monitors are capable of displaying Full HD images at 75Hz refresh rate. 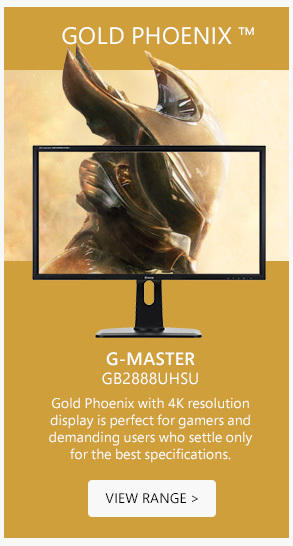 Or immerse yourself in the game with iiyama G-Master Gold Phoenix GB2888UHSU-B1 monitors. Think yourself ready to join the PRO squad? 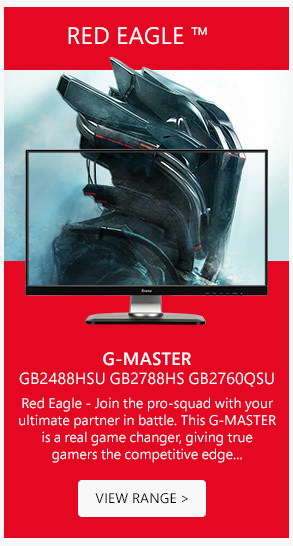 You’ll need an iiyama G-Master Red Eagle GB2760QSU-B1 monitor armed with FreeSync technology, 144Hz refresh rate and a blistering 1ms response time. 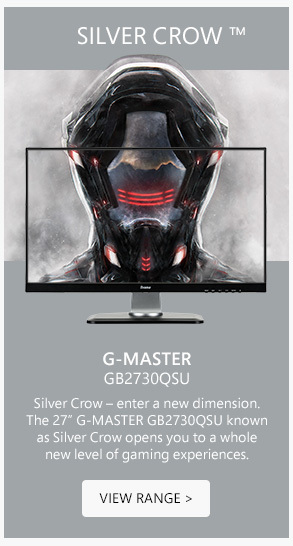 On the other hand you could enter a new dimension with iiyama G-Master Silver Crow GB2730QSU-B1 monitors offering 77% more on-screen space than a standard 1920x1080 Full HD monitor. 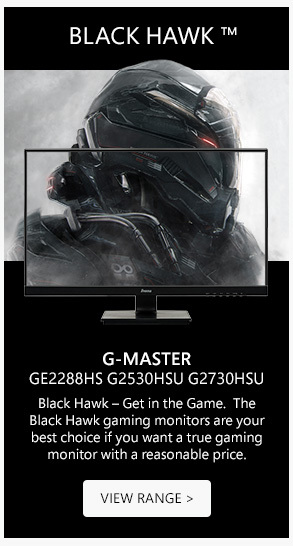 Check out the range and find your next gaming monitor with the iiyama G-Master range now!